‘Suburban Boy’ Dave Warner gained national recognition as a musician-songwriter with the gold album MUG’S GAME. Indeed Bob Dylan declared Warner his favourite Australian songwriter. 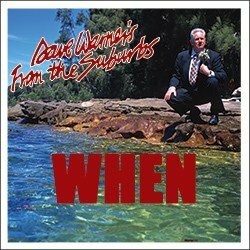 In the early 1980s Dave gave up a full time music career to diversify into other areas of creative arts but 2017 marked the return of Dave's recording with the amazing album WHEN, featuring original band members and a host of Australia’s best musicians. But Dave’s latest project is a world first! Dave’s new book RIVER OF SALT is due April 2019. Set in 1963 the book features a young killer for the Philly mob who dreams of playing surf-guitar. 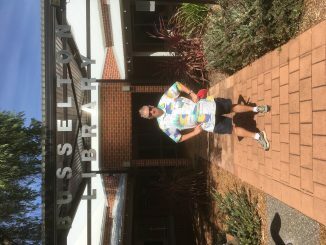 He finds himself in Australia in a new life living the dream. In one part of the book, he sings a song he has written. 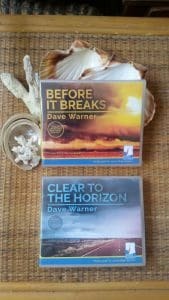 Well Dave has written that song and with Australia’s premier surf guitarist Martin Cilia has recorded NO GOOD CAN COME FROM THIS, so readers can listen to the song and increase the reading experience. RIVER OF SALT will be Dave’s ninth novel. In 1996 he was the recipient of the West Australian Premier’s Award for Fiction with his debut novel CITY OF LIGHT. 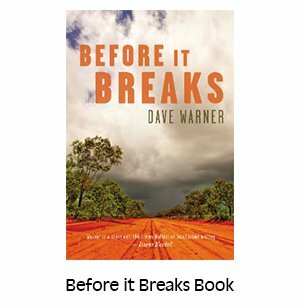 20016 saw his seventh crime novel, BEFORE IT BREAKS win the prestigious Ned Kelly Award for Best Australian Crime Fiction. He has also authored six non-fiction titles and a successful series of children’s novels, CHARLOTTE AND THE STARLET. Dave’s musical THE KING AND ME premiered at Perth Fringe for a sell-out season in 2015. 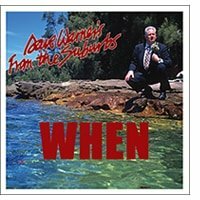 A CD of the songs of the show featuring Dave singing and the amazing guitar of Martin Cilia and a number of other great Australian musicians, is available on this site. Dave and Martin are currently completing an album of original country-pop songs for Dave’s wife, Nicole. The first single NO FENCES is available on CD Baby and streaming services.